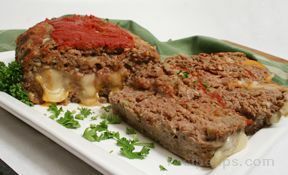 Mix ingredients for meatloaf and press into a 9x5" loaf pan. Bake in a loaf pan for 1 1/4 hours at 350°; drain. 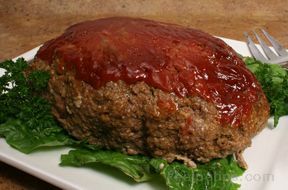 Pour sauce on top and bake for 15 more minutes. "I used crushed saltines. 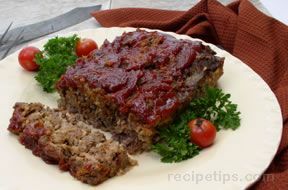 Very moist meatloaf. 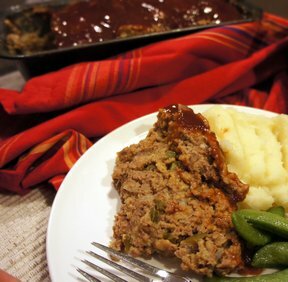 Perfect with mashed potatoes and green bean casserole."